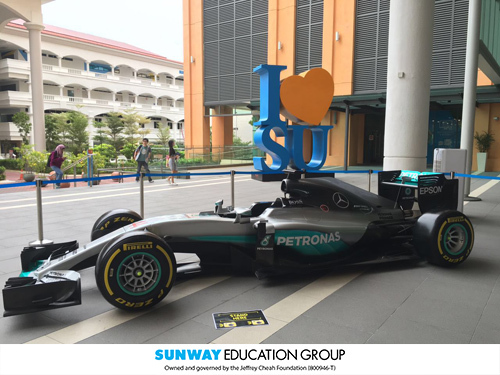 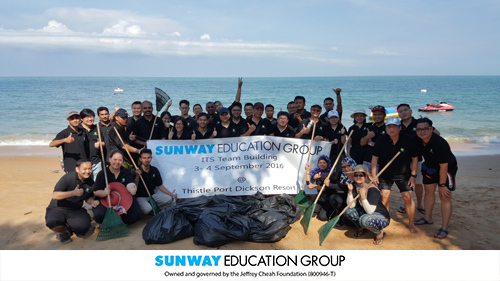 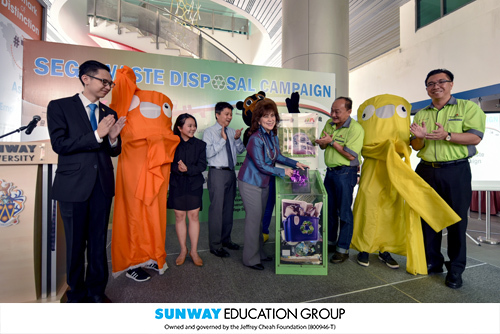 An annual initiative by the Sunway Education Group, the e-Waste Disposal Campaign on campus was carried out from 25 till 27 October 2016, from 9am till 3pm. Unwanted electronic gadgets such as mobile phones, batteries, chargers, and other electronic components belonging to staff and students were disposed via e-Waste collection bins placed in strategic locations throughout the campus. 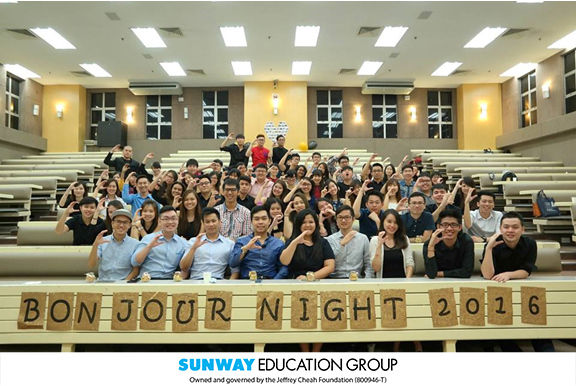 12 deserving students were awarded scholarships worth RM278,000 and cash prizes valued at RM5700 at the recent annual MIA-Sunway TES Accounting Quiz (AQ) 2016 held at Sunway College. 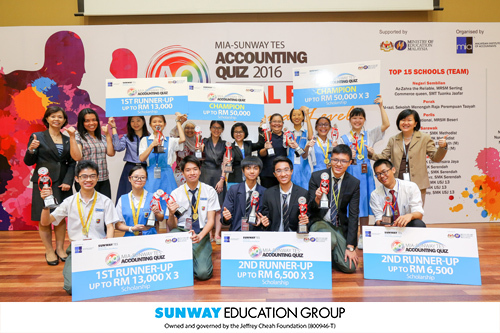 For this year’s MIA-Sunway TES AQ, team ACCA Eliza from SMK Saint Elizabeth, Sarawak emerged Champion under the Team Category. 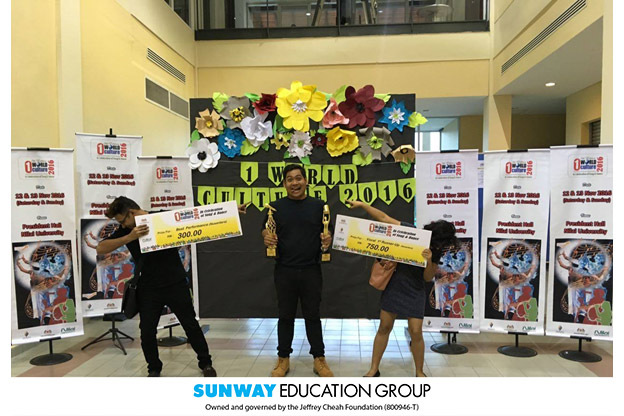 The team comprised of Aserah Anak Jawi, Cynthia Ling Zhen Yee and Ling Yii Fei, each won a scholarship worth RM50,000 for studies in accountancy programmes offered at Sunway College. 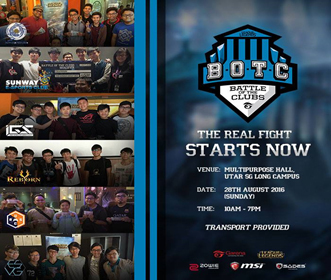 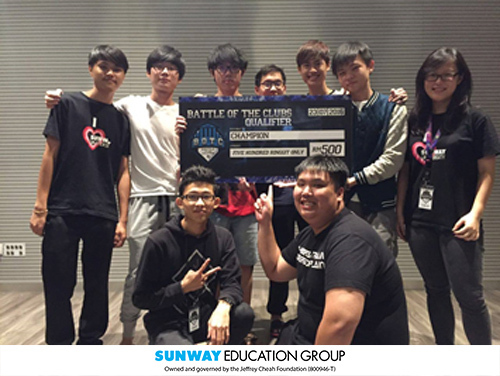 The team also took home RM2,100 cash prize. 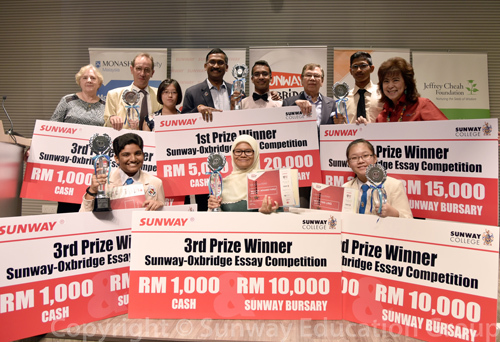 Total cash prize valued at RM 22,000 and Sunway Bursaries worth RM175,000 were awarded to twenty-six deserving students in the recent annual Sunway-Oxbridge Essay Competition 2016. 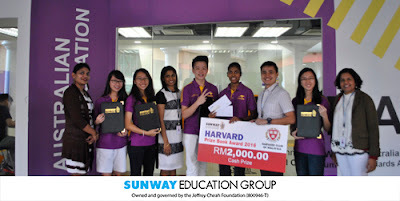 For this year’s Sunway-Oxbridge Essay Competition, Category A (Form 1 to Form 3 students) had three prize winners who tied for third place. The three winners for Category A were Alicia Malini Samuel, Hooi Yan Ling and Rifqah Mohamed Fairuz. 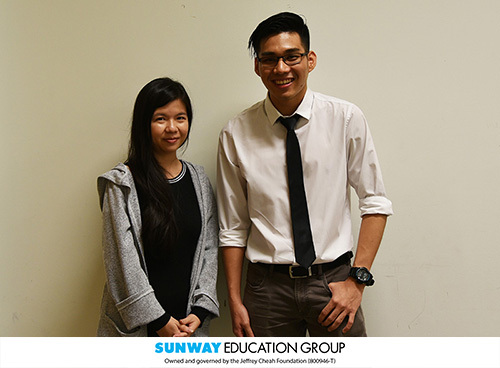 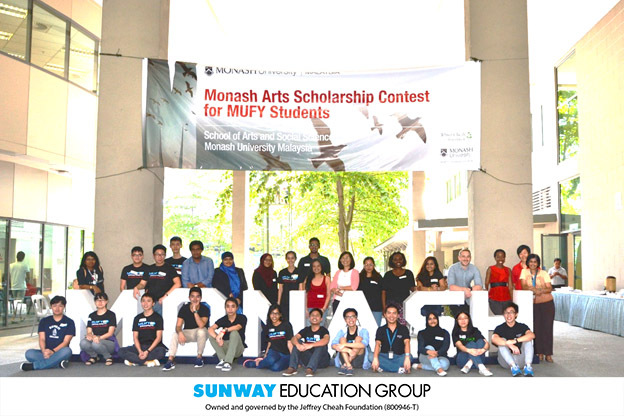 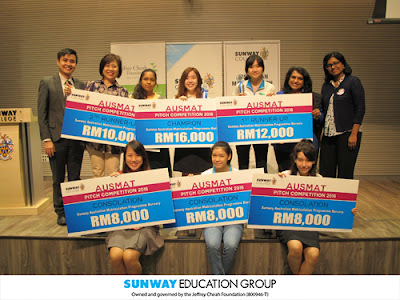 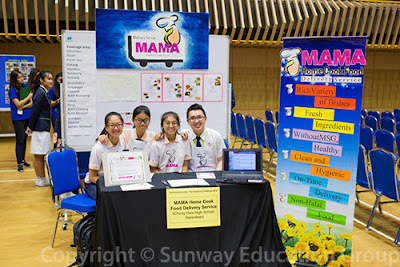 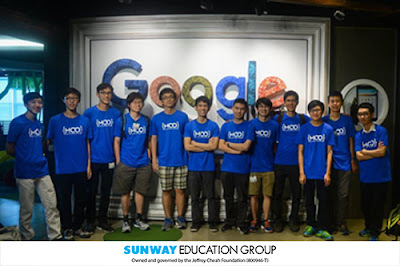 They each took home a cash prize of RM1,000; a Sunway bursary worth RM10,000 and a Certificate of Participation. Margaret Hall (2nd row, from left), Mark Disney, Dato’ P Kamalanathan (2nd row, 4th from left), Tan Sri Razman Hashim (2nd row, 3rd from right) and Dr Elizabeth Lee (2nd row, right) with the Top Winners of Sunway-Oxbridge Essay Competition 2016. 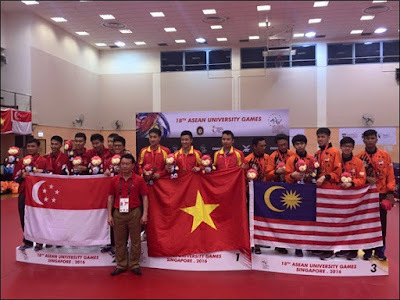 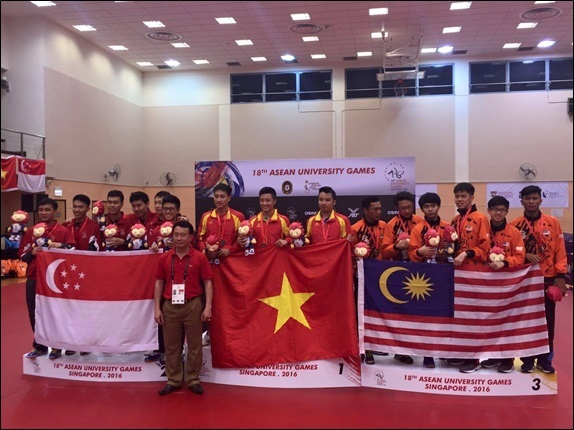 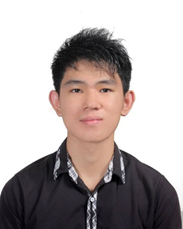 MUFY student Jason Siaw Ting Shen (second from the right) part of Malaysian Table Tennis Team won 2nd runner up after defeating Thailand Team with score 3-1 in 18th ASEAN University Games 2016, held on 12th – 17th July, at Nanyang Technological University, Singapore. Following the success of the first conference last year, the Sunway Model United Nations Conference (SUNMUN 2016) returned with over 300 delegates this year, offering a competitive environment for young delegates to embrace challenges and take responsibility for shaping and creating a better world. 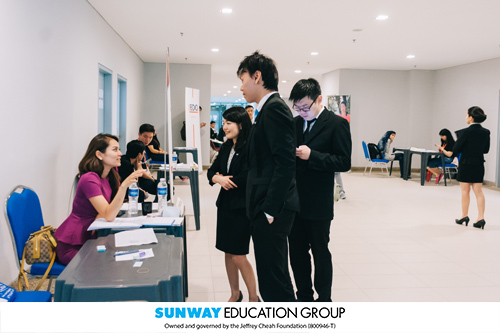 With the theme “Rebirth”, the 2nd annual SUNMUN conference focused on the concept of re-evaluating the state of society and reshaping the global paradigm to enter a new and revitalized status quo. 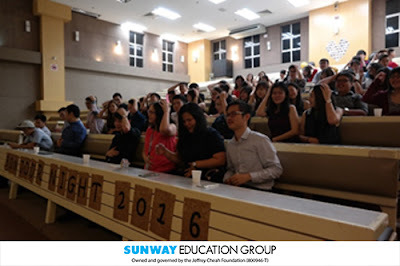 Over 300 young delegates attended SUNMUN 2016 Conference. 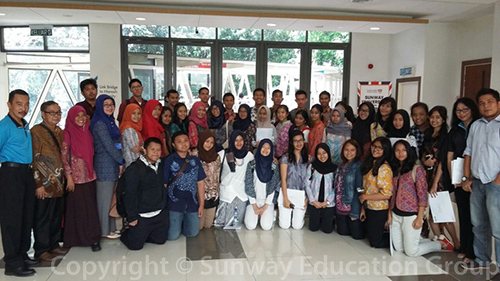 In conjunction with Hari Raya 2016, Sunway Sahabat Society in collaborations with Sekretariat Rukun Negara and Sunway Islamic Society organised the first ever Riang Ria Raya Open House 2016 today, held at University Foyer, Sunway University from 11.30am - 3.30pm. 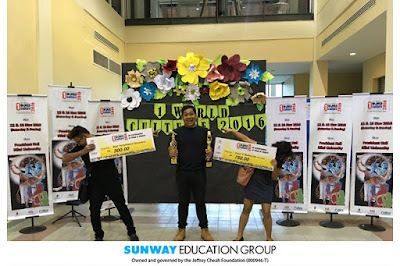 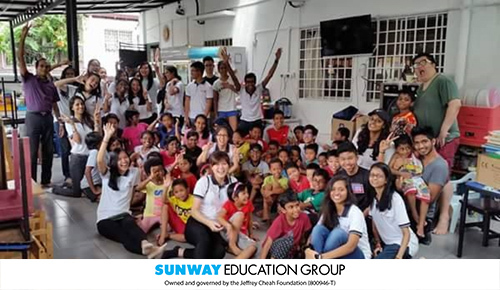 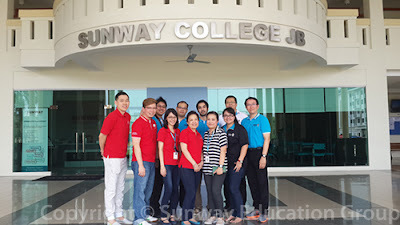 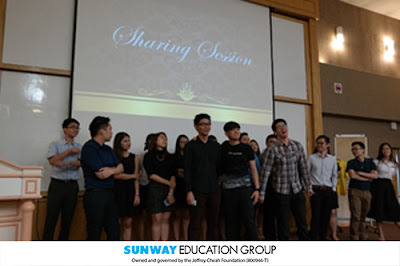 Students and staff were amazed by guitar, saxophone and singing performances, fashion show as well as some cultural activities by the Sunway students. 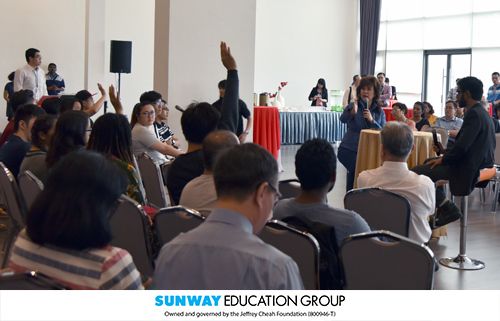 Various types of Raya food was also served during the event. 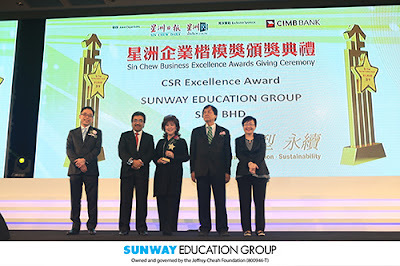 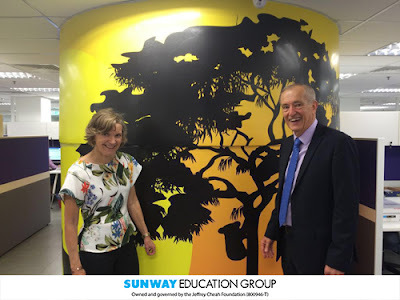 This event was attended by Dr Lee Weng Keng, Chief Executive Officer, Sunway Education and Healthcare Division, Dr Elizabeth Lee, Senior Executive Director, Sunway Education Group, Professor Graeme Wilkinson, Vice-Chancellor of Sunway University, Mr Teo Ee Sing, Executive Director of Sunway College, staff and students. On 2nd July 2016, the annual Victoria University (VU) Business Challenge was held in Sunway College. Running for the 4th consecutive year, this event is designed to test students’ intellect, logic, problem-solving and entrepreneurship skills. 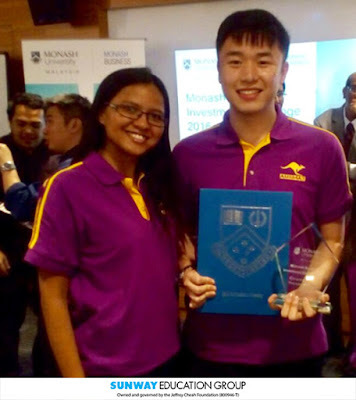 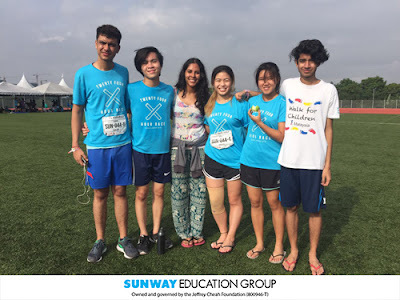 The Sunway Marketing Department, VU staff and student helpers from Victoria University Business Club (VUBC) and Sunway CPA Australia Student Charter (SCSC) comprised the organizing team to ensure that the competition ran smoothly. 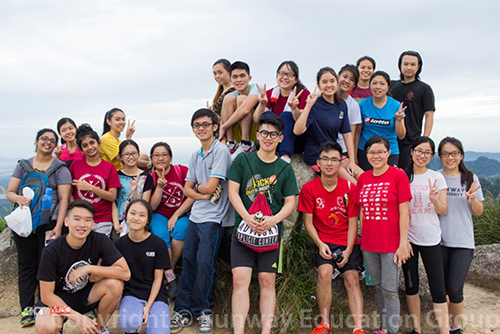 The Victoria University Business Club (VUBC) organized a 3 days / 2 nights Team-Building event from 20th June to 22nd of June 2016 at OUTBAC Broga, located at Semenyih. 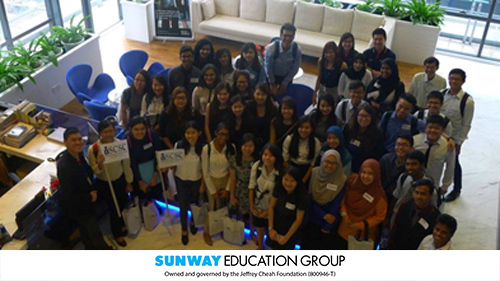 The purpose of this trip was to strengthen the relationship between VUBC members and encourage them to step out of their comfort zones. WHICH WAY? 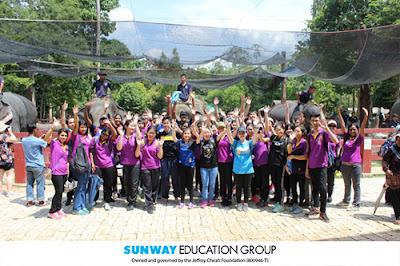 ........SUNWAY…..... 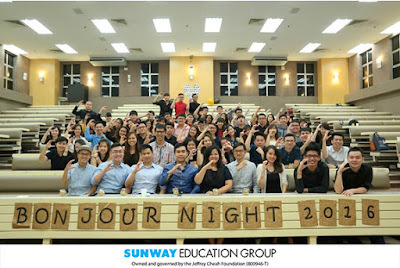 This seems to latest catch phrase of the secondary school youngsters in the state of Johor seeking tertiary education. Johor Bahru is the economic center for the state of Johor. The economy of Johor Bahru is also influenced by Singapore because of the large number of Singaporeans visiting here. 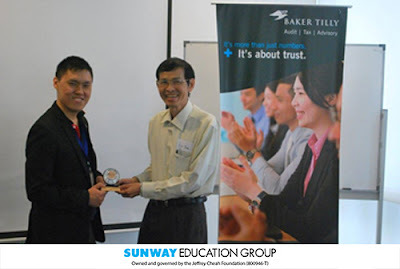 Employee training and development is essential for any organization’s success. It is important to ensure the employees’ skills, abilities and knowledge levels are being regularly updated. Timely and relevant training helps boost productivity. 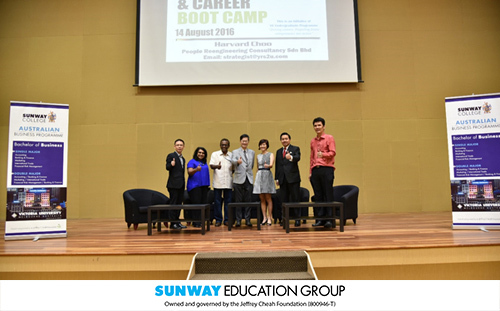 By closing skills, knowledge and performance gaps, and arming the employees with new ideas, best practices and skills provides them the platform to emulate the acquired awareness in their jobs immediately. 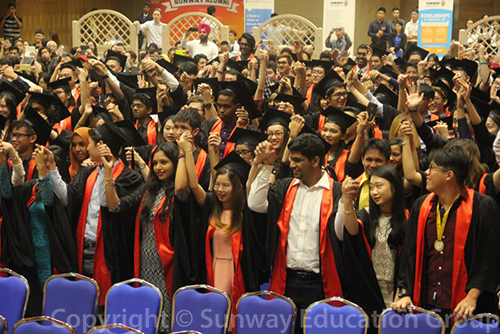 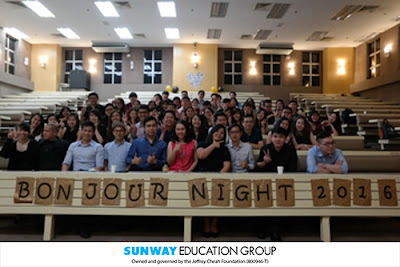 “The Canadian International Matriculation Programme at Sunway College celebrated their 50th Graduation Ceremony on Friday June 17th 2016. The group of 200 graduate join over 6000 alumni from the Canadian program who have gone on to study around the globe as the programme celebrates its 25th anniversary at Sunway. 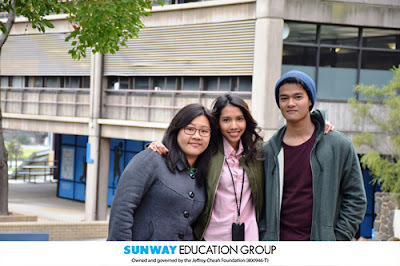 CIMP Graduates go on to study and work in Malaysia and abroad with 79 of this semesters gradates planning to attend University in Canada, the United States, Europe and Australia. In conjunction with National Teacher’s Day on May 16, Sunway Education Group hosted an appreciation luncheon for over 100 school teachers, principals and school counsellors from 49 schools around Klang Valley and Selangor. Dr Lee (center) and Ruth Cheah (left), Director of Sunway College Cambridge A-Level, with guests from SMK Tropicana. 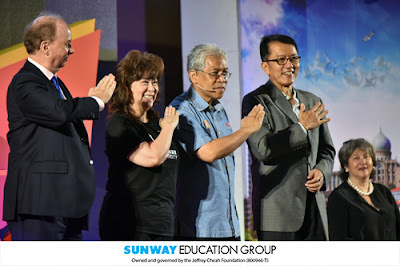 Sunway TES Centre for Accountancy Excellence (CAE) in a move to further promote professional accounting programmes towards building Malaysia’s accountancy talent pool today aligned itself with a new initiative. 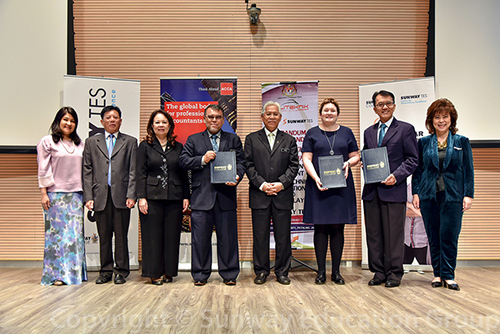 This initiative is to better Malaysia’s Polytechnic syllabi of the 3-year Diploma in Accountancy programme, ensuring its standards are up to par with the international standards of the professional accountancy certification. The initiative is supported by Performance Management and Delivery Unit (PEMANDU) and Yayasan Peneraju Pendidikan Bumiputra (YPPB). 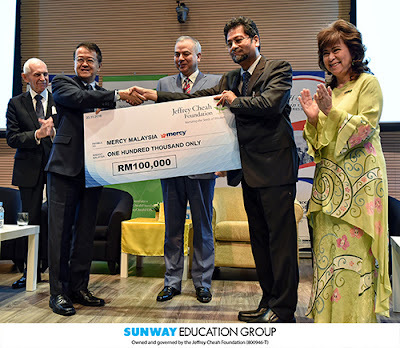 Today, the initiative was sealed with the exchanging of a Memorandum of Understanding (MoU) between Dr Lee Weng Keng, CEO, Education and Healthcare Division, Sunway Group and Tuan Haji Mohd Ghaus Ab Kadir, Deputy Director General, Department of Polytechnic Education, Ministry of Higher Education. 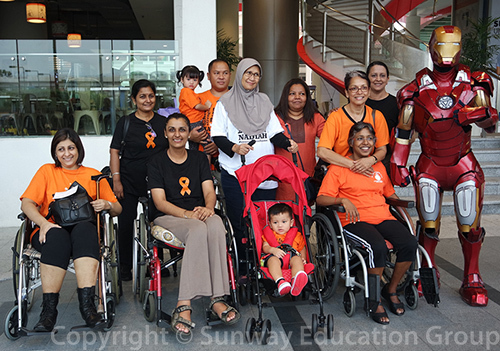 In conjunction with Multiple Sclerosis Day, Sunway University and the Rotaract Club of Sunway University collaborated with the Multiple Sclerosis Society of Malaysia and the Rotary Club of Bandar Sunway for the third time on Multiple Sclerosis (MS) Walk 2016. 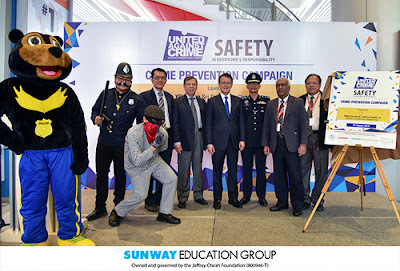 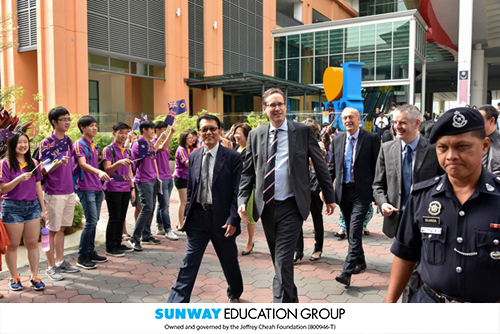 The five kilometre walk, flagged off at Sunway University by YB Hannah Yeoh, Selangor state legislative assembly speaker and Professor Graeme Wilkinson, Vice-Chancellor of Sunway University took participants on a route around the vicinity of Bandar Sunway. 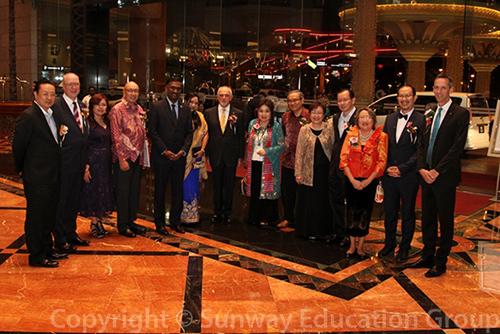 The evening commenced with the arrival of YB Dato’ P. Kamalanathan, Deputy Minister for Education and his wife Datin Shobana. To welcome them were Puan Sri Susan Cheah, Chairperson of the Gala Dinner, Organising Committee; Evan Cheah, Senior General Manager, Sunway Group; Dr Elizabeth Lee, Senior Executive Director, Sunway Education Group and Sunway University; George Pappas, Chancellor, Victoria University; Professor Peter Dawkins, Vice Chancellor and President of Victoria University; Chua Teck Boon, President Malaysia Alumni Chapter; and Helen Rowell, Executive Director, South East Asia, International Victorian Government Business Office.